Torch -- Two Evenings of Jazz Music. .
CONCERT POSTPONED. Details to follow when available. Vocalists Solitaire Miles & Lydia Marks, with an all-star quartet. Call 814/455-1774 for information and tickets. A great musical review featuring two area vocalists, each with a national reputation. Solitaire and Lydia will be backed by a rhythm section composed of Howard Hamme - piano, Harry Jacobson - bass and Sonny Furman - drums, and will feature international baritone saxophone star Bruce Johnstone on Friday, and equally talented saxophonist Allen Zurcher on Saturday. Solitaire brings forward a family tradition; her grandmother was a big band singer in the 1940's. Solitaire broke into the music business with the great jazz violinist Johnny Frigo's band in Chicago while studying opera at DePaul University. She sang regularly with Chicago greats Von Freeman and Willie Pickins, and sat in and learned from trumpeter Doc Cheatham. She contin ues to perform in Chicago as well as NR Ohio an NW PA and New York venues. 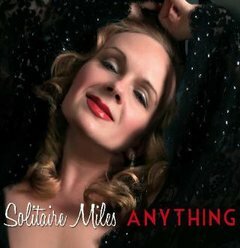 "Solitaire Miles has a voice that makes you think she's opened a hole in the fabric of time and stepped straight out of 1939" -- J.M. Reid, The Kent Observer. Lydia has worked stages in Las Vegas, New York (including the Apollo), and throughout northwestern NY and PA. Recent venuees include Chautauqua, the Lewiston Jazz Festival, JazzErie's Jazz Walk and many others. In Las Vegas, she performed as featured vocalist with Carl Fontana's Dixieland Jazz Band, and as an opening act for a number of well known entertainers, including Jerry Seinfeld. 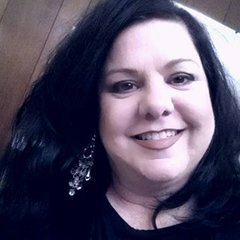 Recently returning to school at Mercyhurst University, Lydia earned a degree in music education and is teaching music in the Erie area. Two great evenings of music, with proceeds going to Safe Net, an Erie organization committed to ending domestic violence and providing direct services to the victims of domestic violence. The evening is funded in part by the Pennsylvania Partnership for the arts, and be ArtsErie.